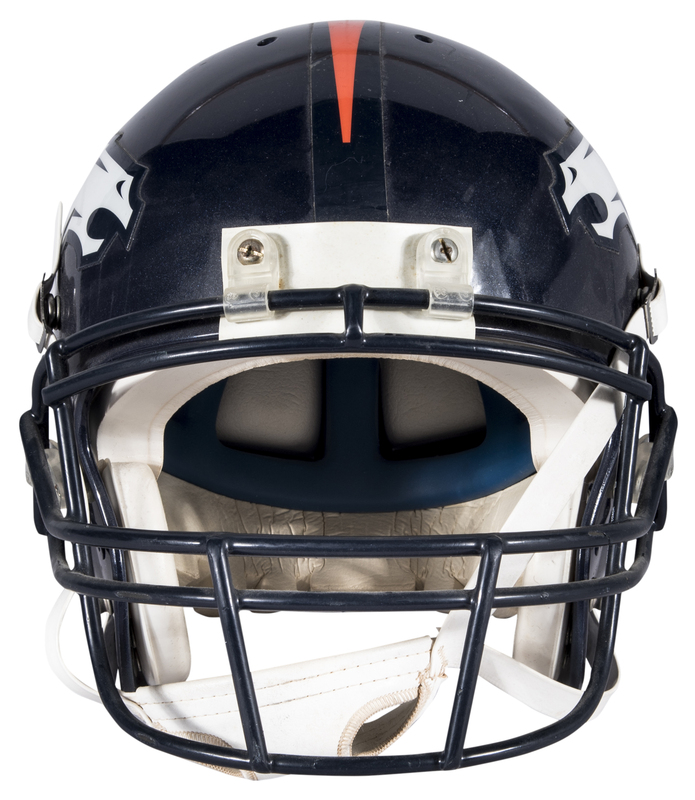 Hall of Fame wideout Andre Reed wore this navy Denver Broncos helmet in 2000. 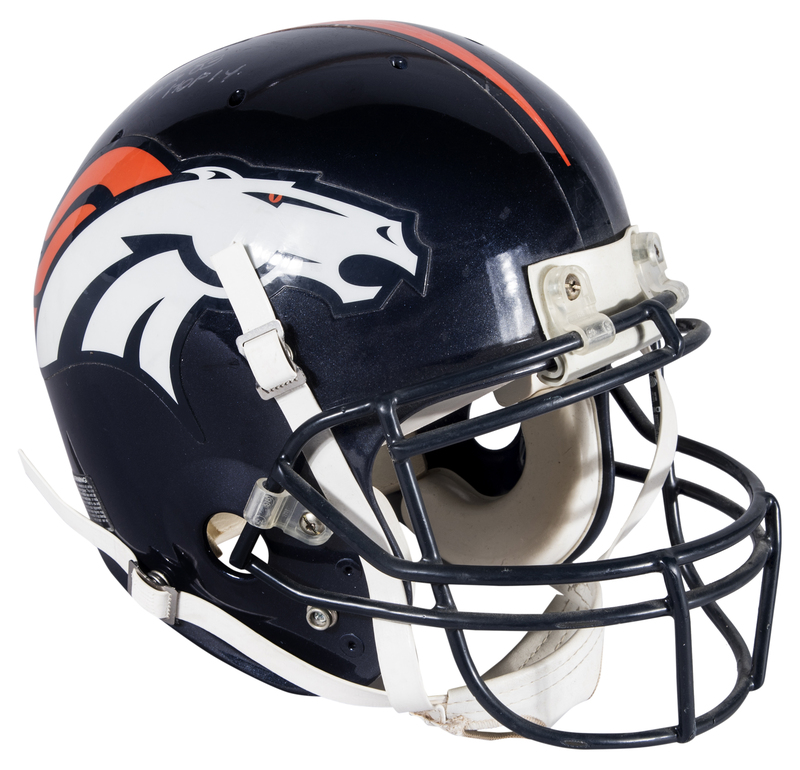 Reed signed with the Broncos in June after spending the first 15 years of his career with the Buffalo Bills. 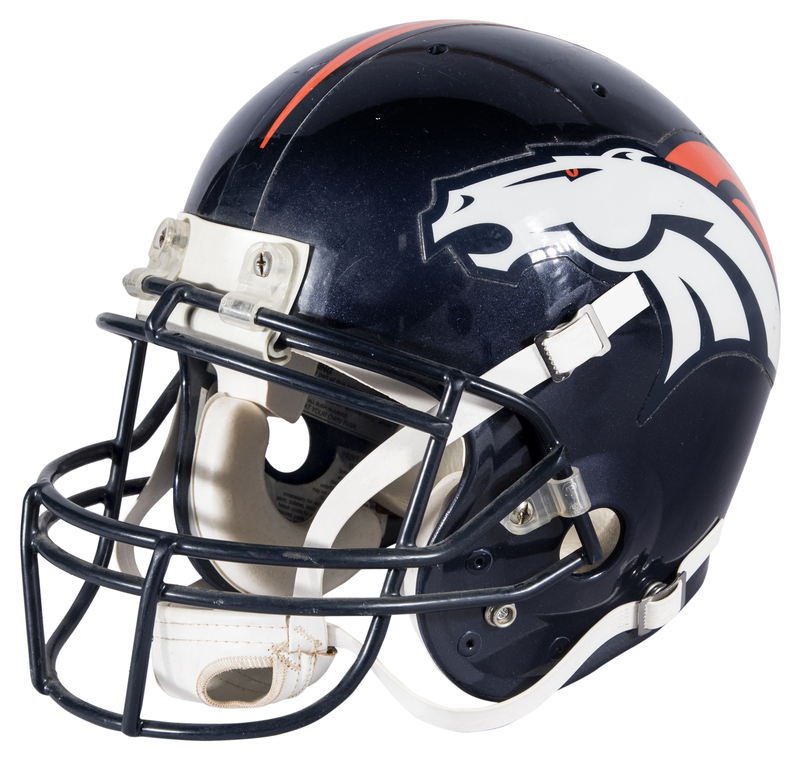 Stuck in the Broncos depth chart behind several younger receivers, the seven-time Pro Bowler asked for and received his release from the Broncos in time to start the season as a member of the Washington Redskins. 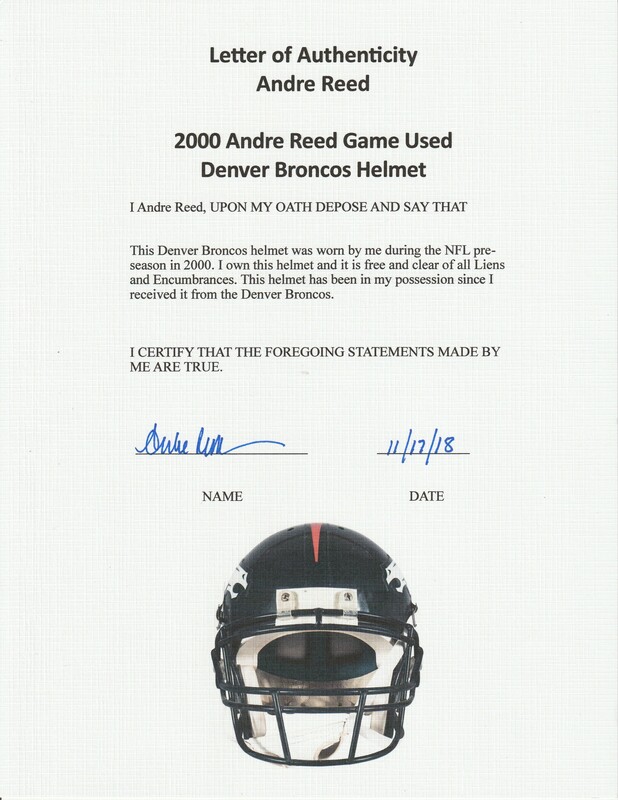 Reed retired after the 2000 season and was inducted into the Pro Football Hall of Fame in 2014. This navy Denver helmet has the Broncos logo applied to each side of the helmet. 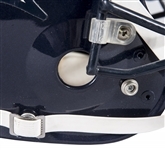 The face mask is navy as well, and the white chinstrap is still affixed to this lid. An orange stripe, tapering as it approaches the facemask, bisects the crown of the helmet. 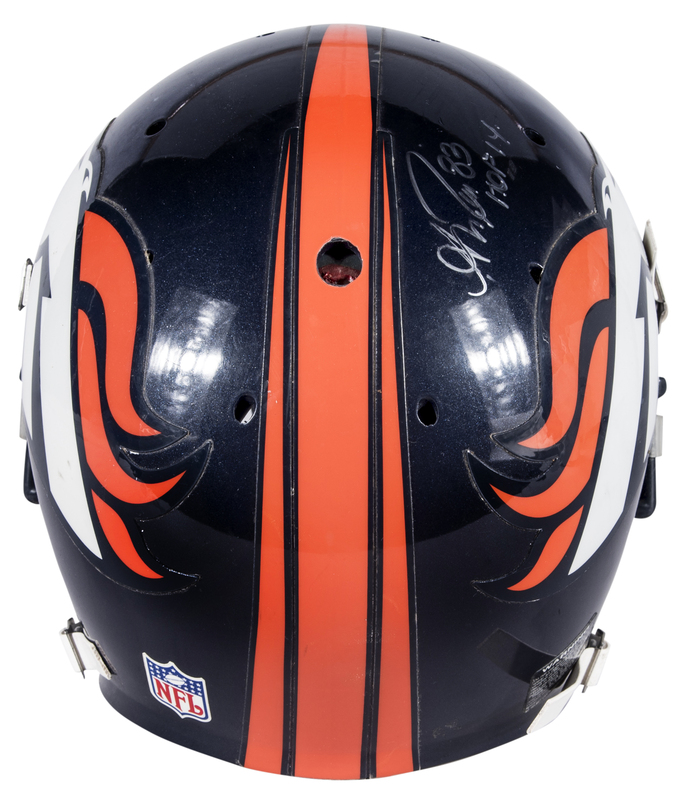 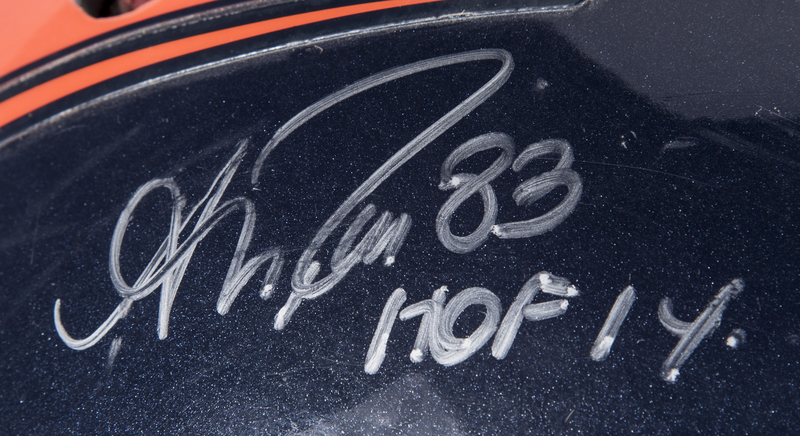 Reed has signed this helmet in silver marker, inscribing “HOF 14” and “83” in addition to his signature. 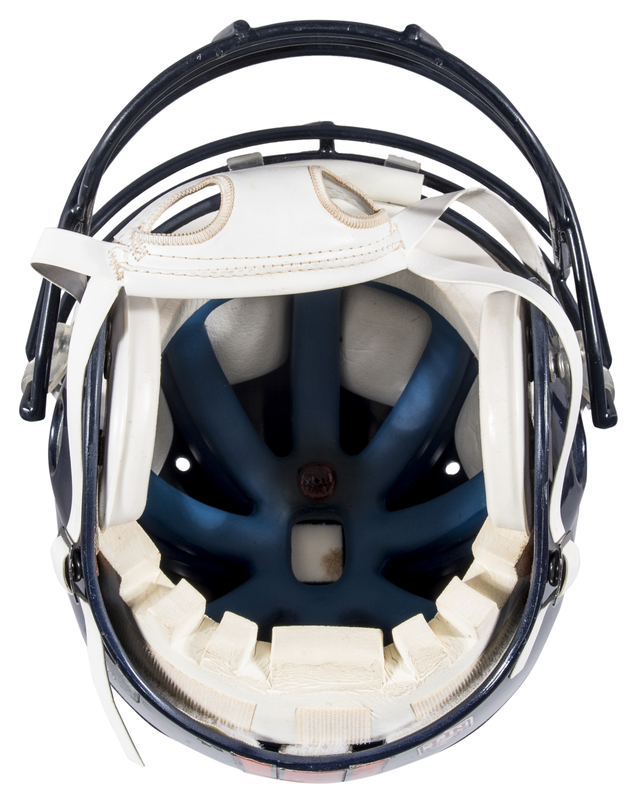 This helmet comes with a LOA from Reed himself.